Jody Gladding’s work explores the places where language and landscape converge. Translations from Bark Beetle was published by Milkweed Editions in 2014, and her new book, the spiders … my arms (Ahsahta Press) comes out this April. She has translated 30 books from the French. Her awards and honors include MacDowell and Stegner Fellowships, a Whiting Writer’s Award and a Yale Younger Poets Prize. Jody Gladding directs the Writing Program at the Vermont Studio Center and lives in East Calais Vermont. Sharon Olds is the author of ten collections of poetry, most recently Odes (Knopf, 2016). Her 2012 collection, Stag’s Leap, won the Pulitzer Prize and England’s T.S. 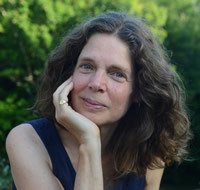 Eliot Prize and her 1983 work, The Dead and the Living, won the National Book Critics Circle Award. She served as the New York State Poet from 1998 to 2000. Olds teaches in the graduate program at NYU and helped to found the NYU workshop program for residents of Goldwater Hospital on Roosevelt Island and for veterans of Iraq and Afghanistan. She lives in New York City. Jeffrey Lent was born in Vermont and grew up there and in western New York State, on dairy farms. He studied literature and psychology at Franconia College in New Hampshire and SUNY Purchase. His first novel, In the Fall, was a national bestseller and a New York Times Book Review Notable Book for 2000. His other novels are Lost Nation, A Peculiar Grace, After You’ve Gone, and A Slant of Light that was a finalist for the New England Book Award, as well as a Washington Post Best Book of 2015. His most recent book, Before You Sleep, came out in 2017. Lent lives with his wife and two daughters in central Vermont. 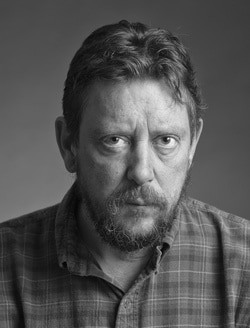 Michael Collier is the author of seven collections of poetry including An Individual History, a finalist for the Poet’s Prize, and The Ledge, a finalist for the National Book Critics Circle Award and the Los Angeles Times Book Prize. His forthcoming collection, My Bishop and Other Poems (University of Chicago Press) will be published this August. Collier served as the State Poet of Maryland from 2001-2004. He is the Director of the Creative Writing Program at the University of Maryland and was the longtime director of the Middlebury College Bread Loaf Writers Conference until 2017. Collier lives in Maryland and Middlebury, Vermont.